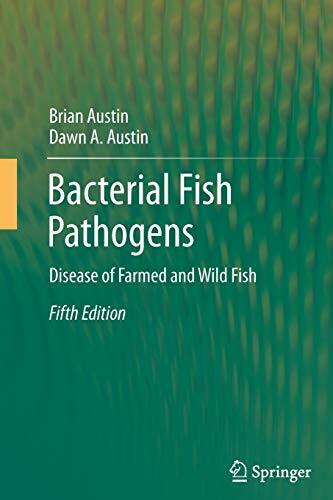 This completely updated fifth edition of Bacterial Fish Pathogens is a comprehensive discussion of the biological aspects of the bacteria which cause disease in farmed and wild fish. Since the 4th edition was published in 2007, there has been an upturn in the application of molecular approaches to taxonomy, diagnosis and vaccine development. New pathogens, e.g. Aeromonas schubertii, have been described. Also, there has been the emergence of diseases caused by bacteria which have not been cultured, and which have been equated with new taxa, i.e. 'Candidatus'. Consideration is given to all the bacterial fish pathogens, including primary pathogens and opportunists.